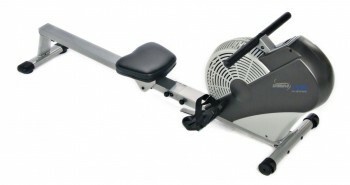 Is The Rower the Best Fitness Machine For You? 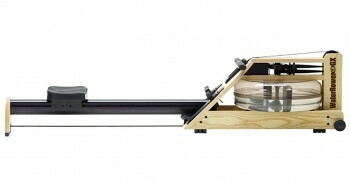 Are you unsure if you should get a rower or a more traditional fitness machine? It’s only right that you consider your options before you commit to purchasing any exercise equipment. A rower is great for cardio, muscle building and burning calories, but what can other machines do? I have compared the rowing machine to the other popular exercise machines here so that you can see how they stack up against each other. 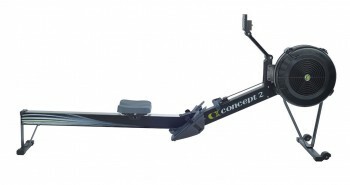 Will the rower be the one that best meets your needs? Read on to find out more. Before I got into rowing, I used the treadmill a lot. So lucky for you, I have experience using both machines and am able to tell you about the benefits of using each one. While a rowing machine will work your entire body, a treadmill will focus on your lower body. When you run on a treadmill, however, you will on average burn more calories per hour than you would on a rower. You will be able to burn calories on a rower as well, but unless you are rowing at the highest levels of resistance, you probably won’t burn as many as you would on a treadmill. So a rowing machine has the advantage of giving you a full-body workout, but a treadmill is better for burning the maximum number of calories per hour. Both machines can be used for low-impact exercise. For the treadmill, if you are walking it will be low-impact but if you are jogging or running it then becomes a high-impact workout. A rowing machine, on the other hand, will give you a low-impact workout no matter how intensely you use it, as your feet and hands stay in constant contact with the machine. Clearly, if you are unable to handle high-impact workouts for any reason, a rowing machine is the better choice. If building muscles is one of your fitness goals, you may want to choose a rowing machine as well. Rowing is more effective for building muscle because it works the muscles in both your upper and lower body at the same time; the treadmill will work only the muscles in your lower body. Now let’s take a look at the rowing machine vs the elliptical trainer. Both of these exercise machines are excellent for cardio and strengthening your upper and lower body. I should point out here that some elliptical trainers do not work your upper body, as they do not all come with moving arms. Obviously, the ones with moving arms are the ones that will work your upper as well as lower body. Rowing machines are more effective for strengthening your core, as you will use it to keep your torso straight during your rowing workout (if you maintain proper form). An elliptical trainer with moving arms will engage both your upper and lower body, but it will not strengthen your core as much as a rowing machine will. On the other hand, using an elliptical trainer will give you a better workout for your chest and triceps than what you would get from using a rowing machine. As far as burning calories goes, you will generally burn just a few more calories on an elliptical trainer than you would on a rowing machine. This of course, depends on your weight and the intensity with which you exercise. On average, a person who weighs about 155 pounds will typically burn about 630 calories per hour on a rowing machine and about 670 calories per hour on an elliptical trainer. Both exercise machines will give you a low impact workout, as your hands and feet should stay in contact with them during your workout sessions. So as it concerns calorie burning and stress on the joints,the elliptical trainer and the rowing machines are pretty much even. As the workout you will get from using an elliptical trainer is a weight bearing exercise, it can be used improve your bone density; people with issues such as osteoporosis will find this helpful. Rowing is not a weight-bearing exercise, but it will help to make your back stronger and this can help you prevent osteoporosis as well. Like the treadmill, an exercise bike will work mostly your lower body, and, as we have seen, a rowing machine will work your entire body. An exercise bike will burn more calories than a rowing machine, but because a rowing machine uses more resistance during your workout you are likely to experience burning calories even after your workout. 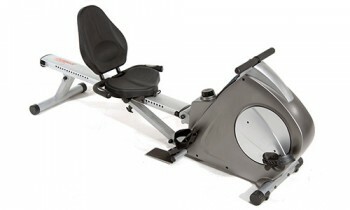 Both machines give you low impact, non-weight bearing workouts, which makes both suitable for people with joint issues. They are both very good for cardiovascular workouts and both allow you to set your own levels of resistance. The main difference between a rowing machine and an exercise bike is that a rowing machine will give you a full body workout while an exercise bike will give you only a lower body workout. 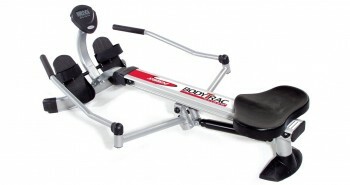 So, if you are interested in focusing on developing your lower body an exercise bike is a great option but if you are more interested in working out your entire body, then a rowing machine would be a better choice. After comparing these machines side by side it is clear that the machine that will give you the best results is a largely a personal preference. Your workout goals, your body weight and your state of physical health all have a role to play. No machine is better than the other and they can all be used to achieve specific results. What I think gives rowers the most advantage over the other fitness machines is the low impact that it has one your joints while simultaneously giving you a full-body workout. A rower is better for building muscle than a treadmill, better for strengthening your core than an elliptical trainer, and better for working out your entire body than an exercise bike. Of course, all of those machines also have their benefits and I hope I have been fair in comparing them all here. In the end, it comes down to you and your personal goals. You should know what you want to achieve from exercising and match those goals with the exercise machine that will give you the best results.